Looking forward to 2019, Carigiet Cowen have some attractive commercial opportunities available. 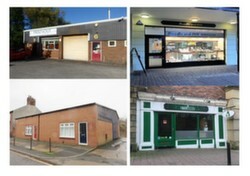 Whether you are a new start business looking for a starter workshop or small shop, or an investor looking for your next source of property income, we have a variety of commercial buildings to suit everyone’s needs. Recent additions to the market in Carlisle include industrial units ranging from 558 sq ft – 1,154 sq ft on the popular Denton Holme Trade Centre. As well as Units 4 & 5 Port Road ranging from 957 sq ft – 1,920 sq ft. These light industrial units provide city centre presence, 100% BUSINESS RATES RELIEF for qualifying occupiers and with plenty of early interest for both locations, they’re unlikely to be around for long, so be quick if you’re interested! Within Carlyle’s Court, we are marketing retail Unit 2 – former Beadle & Hill Jewellers who have recently relocated to Scotch Street. In addition, subject to possession, we are offering an exciting opportunity for a new lease on Unit 10 Carlyle’s Court, most recently trading as Bare Kitchen. Both attractive units benefit from 100% BUSINESS RATES RELIEF for qualifying occupiers and offer a niche trading opportunity close to some of Carlisle’s strongest independent traders including Jopson’s Jewellers, SONY Centre and Shabby Scholar. Also, at Carlyle’s Court, Office Suite 7 has just come to the market and is a modern 489 sq ft office with private staff kitchen and wc and benefits from DDA Lift Access. A perfect office suite for a professional business requiring city centre presence.